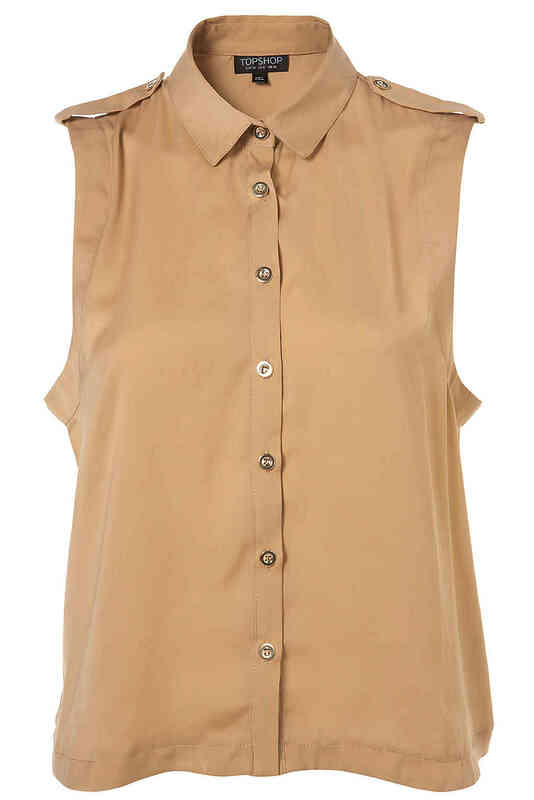 These little sleeveless button-up shirts are so cute for summer. Light and easy to wear with just about everything. I wore this one from Topshop with Mark Jacob Jean shorts, Comme des Garcons belt, and Rag and Bone Suede boots. I'd also wear it tucked-in with a long maxi skirt or tied in the front with bell bottoms! These other ones from Topshop are also cute for summer! Wear this one with a lady-like full skirt or ankle length dark denim jeans. 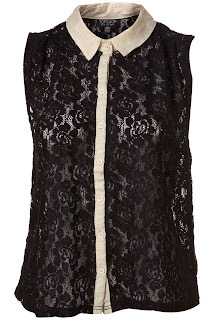 Wear this one with black leather pants or light-wash deconstructed jeans.